But despite the flaws that follow The Girl in the Spider's Web it's surprisingly good thriller movie with Bond like qualities. If you’re trying to compare it to the David Fincher’s predecessor, don’t. It’s totally different and in every way. Different book, different cast and different story. Sometimes, different can be a disaster, but not in this case. It’s fairly watchable and attention grabbing movie. Well, it’s finally here. Seven years after David Fincher’s Girl With The Dragon Tattoo, the second English language movie from the Millennium series is finally out in theaters. Based on David Lagercrantz ‘s book The Girl in the Spider’s Web, Lisbeth Salander is now dealing with some really gruesome and frightening people from her past. Her family. 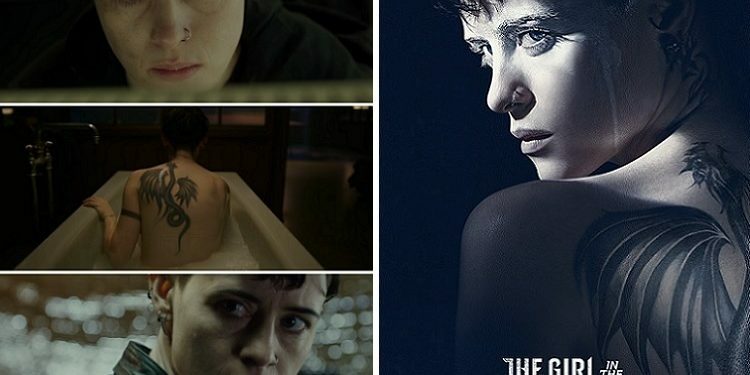 Lisbeth Salander (Claire Foy) has now become a vigilante who protects women from harm. In fact that’s precisely what we see her do in the opening scene. But after the very Bond inspired intro, we see what has become of her. She’s morphed into a Bond like hacker and the past has come back to bite her. The computer programmer Frans Balder (Stephen Merchant) has developed Firefall, a program capable of accessing the world’s nuclear codes. He’s developed for the NSA, but he’s having second thoughts about giving the program to any country, and he’ll hire Lisbeth to steal it and give it back to him. Things will not go smoothly, and Lisbeth will find herself in a spider’s web, entwined by her own estranged sister Camilla Salander (Sylvia Hoeks). 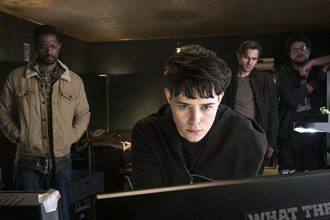 The Girl in the Spider’s Web is highly enjoyable and fun movie lead by the dedicated Claire Foy in the role of Lisbeth Salander and the slick, fluid direction from Fede Alvarez. But as much as it’s satisfactory in some areas, in others is much less so. 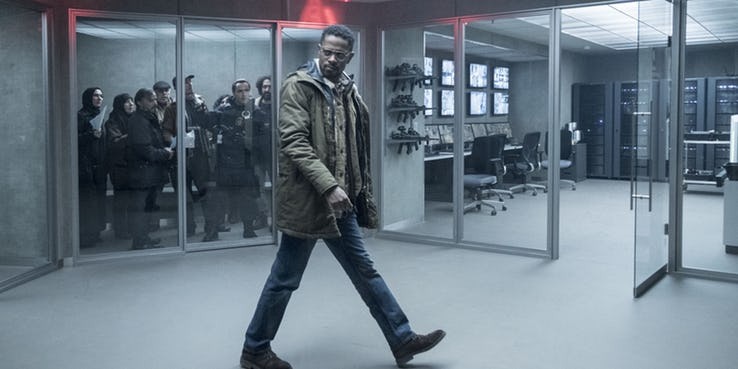 For instance, although is bleak and dark in cinematography, costume design and setting (with the snowy Sweden always lurking in the background), the tone and the premise, the subplots and the character’s backstory is watered down almost to the point of being silly and trivial. The internal angst, alienation and anger that became synonymous with this character are down to a frowns and there’s not that much left for her to work with on the family issues. 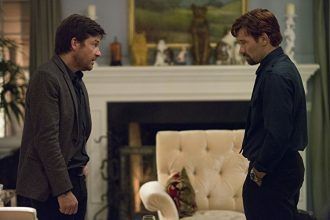 I was surprised how easily this movie glided through the running time, since the main story (the existence of such computer program) is highly unlikely, and the Oedipus subplot is not present enough to have any meaning to the present time. 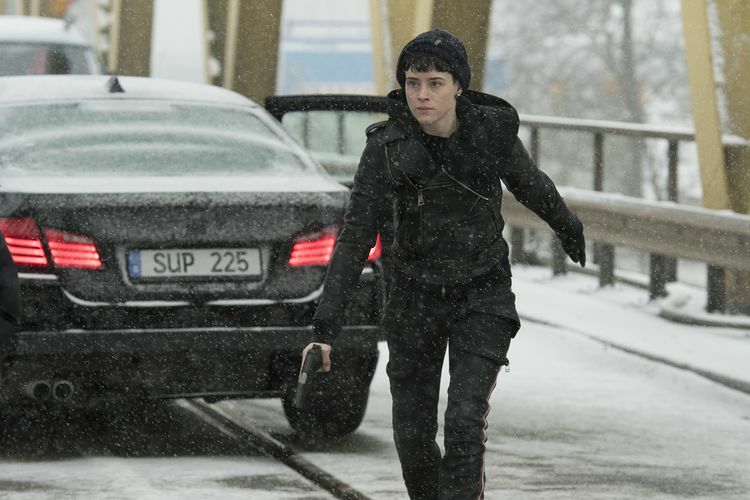 The re-appearing of Camilla Salander is left for the last third of the movie, and its a sad move on behalf of the screenwriters. However, to fair in this matter, even if she was introduced a bit earlier, it wouldn’t have made any difference. First, because she’s a generic villain with daddy issues, and secondly because every other character besides Lisbeth is a second fiddle in this movie. There’s a whole variety of supporting characters that just pop up once in a while, with a limited and restricted story arch and they’re left with little to do on screen. 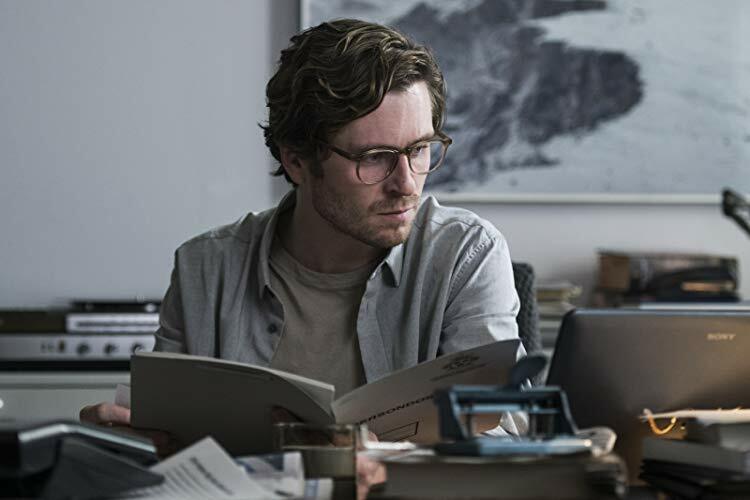 Mikael Blomkvist (Sverrir Gudnason) is obsolete here. Yes… That Mikael Blomkvist. His journalistic and investigative talent is wasted, and he’s basically reduced to a figure created to fill in the blanks of dialogue. No, this is Lisbeth’s story and she is the key figure here. Claire Foy shines once again, but I’m going to have to say that the director Fede Alvarez is not bad either. He excels at mixing the outdoor and indoor set pieces and utilizing them as a pieces in the visual puzzle that is this movie. The most beautiful and intricate of all set pieces are the abandoned childhood house of the Salander family (near at the end of the movie) and of course the set piece at the Stockholm airport, in which we could see a true cat and mouse game between Lisbeth and pretty much everyone else. But despite the flaws that follow The Girl in the Spider’s Web it’s surprisingly good thriller movie with Bond like qualities. If you’re trying to compare it to the David Fincher’s predecessor, don’t. It’s totally different and in every way. Different book, different cast and different story. Sometimes, different can be a disaster, but not in this case. It’s fairly watchable and attention grabbing movie.